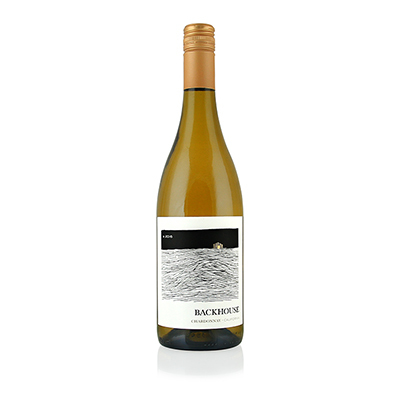 Backhouse comes from our friends at O'Neill Vintners. The name refers to the shed at the back of the property - called the "Backhouse" - where the workers gathered to swap stories after an exhausting day of picking grapes. It has endured probably because of the many stories told in the "Backhouse" and the feeling that the house has stories of its own to tell. Certainly, the wines that are made here are the best story. O'Neill owns vineyards all over California, yet that doesn't stop them from purchasing grapes from other growers that will enhance what they're making. As a result, the wines O'Neill produces are almost always absolutely perfect. And this beauty is no exception. Our selection comes from Certified California Sustainable Winegrowing vineyards. In other words, everything that is not used is recycled into something else, leaving a very small carbon footprint. O'Neill also practices very close to total organic farming. That may be the reason why their wines are so clean and flavorful. This wine is another gem. We love the obvious Chardonnay-like character, with just enough oak to expand the flavors, but not hide them. Here is all that you could want from great Chardonnay. There's the spice, vanilla and green apple in the nose, followed by that same combination on the palate. The finish is clean, crisp and satisfying, with just a hint of lemon peel.